Author's comments about the run: Hello everyone. This is new TAS of Hogs of War. There was a Tool-Assisted Speedrun made by Meesbaker in 2014, but the only TAS tool he used was savestates. Unfortunately, his run was unacceptable for TASvideos because of innacurate emulation, so, I wanted to make a new one. I did it 6 months ago, but I was limited in time because I wanted to use it as showcase for a local speedrun marathon, so here is a better version of it. I saved time on every level compared to my previous run. Total timesave is 10 minutes. Special thanks to Drakodan, who fixed all the mistakes in this text. Rerecord count: 25,000+ (I lost few runs by accident, so can't provide accurate number). Time by speedrun.com rules: 51:44. To activate this glitch all you have to do is change the pig health in the multi-player options to half before entering single player. This glitch does not change the the health of vehicles, artillery and shelters. This glitch is way easier to use on the PAL version of the game. It generally makes the run a lot faster. Normally you have the pigs' voices activated, which leads to a delay before each of yours or the AI's attacks. You can disable it in the menu on any level. This is the hardest part of optimization. In TAS conditions you can make actions super fast, but the AI might act differently. It's very tricky because literally everything has an effect on the AI's decisions on what to do on its turns. I moved my units to specific positions, I can hold X during the AI's turn or simply delay my attacks to change its targeting. You can even manipulate the way that Anti-P mine will blow up by just walking differently at the end of your turn. I explained it below on the Glacier Guns mission. Normally, after decreasing a unit's health to 0 or lower, you get an extra death animation. This animation can take different amounts of time. You can prevent it if you make a unit die in water, on minefields or if you just deal a massive amount of damage (60+) so the unit will blow up instantly. You can also cancel a lot of animations in the menu. 5. One-mine explosion on pillbox. You can make Anti-P Mines blow up even if you use only one of them on a pillbox (or potentially other artillery too). If you lay a mine from the slope, it makes the mine hover, which forces it to blow up, so you can attack something else on the same turn. Saves a turn on Glacier Guns. Shoutouts to Meesbaker for the explanation of it in his TAS video documentation. 6. PP (promotion points) dupe. It turns out that it's possible to dupe promotion points and get way more than you're supposed to if you promote your units at the correct frames after each 5th mission, when you get a lot of them (other missions normally give you only 2 PP). Abusing this let me get my 2nd Hero two missions earlier than in the old run. Team color and team name doesn't change anything in gameplay (unless you use one of 3 very specific names), so it's just a personal preference. Grunt: Unit without any promotions. Sniper: Units with sniper's career path. Very unique class: units are invisible on the mini-map during opponent's turns and has an ability to hide by using camouflage which also works like armor - you can destroy it by dealing at least 20 damage. Bombardier: Units with "Heavy Weapons" career path. Most universal class because these guys can hit enemies across the entire map for high damage and almost without a need to walk anywhere. Hard to master in single segment. Commando: Top-tier unit which you can get after 3rd tier promotion of any career path. Has huge inventory, can detect mines and can swim without losing health. Hero: Next promotion after Commando. This is the best possible unit you normally can get in story mode. Has the same abilities but bigger inventory. Most important weapon - Airstrike. Medic and Engineer career paths are not used in this run. Units generally have more health points and weapons after each promotion. Can't say much about this mission - you use 3 grenades and you win. This mission is little bit confusing. Forcing AI to use the bayonet might look slow, but in fact if the AI leaves my units with less than 20 HP, I get an extra animation. So, using bayonet removes this animation and also leads to instant next turn (you can notice this extra animation there). Everything else is as simple as it looks. On the first turn I instantly kill the Grunt who acts first in the AI's squad. He is in the middle of map, so he can't attack anyone quickly and usually walks around until he's able to hit somebody with a grenade or find a weapon box containing a cluster grenade. Instead of the Grunt, the AI thus will use his Gunner first. This is important since they have the bazooka, so they are likely to act faster than units from any other career path, so I'm totally fine with letting them act. 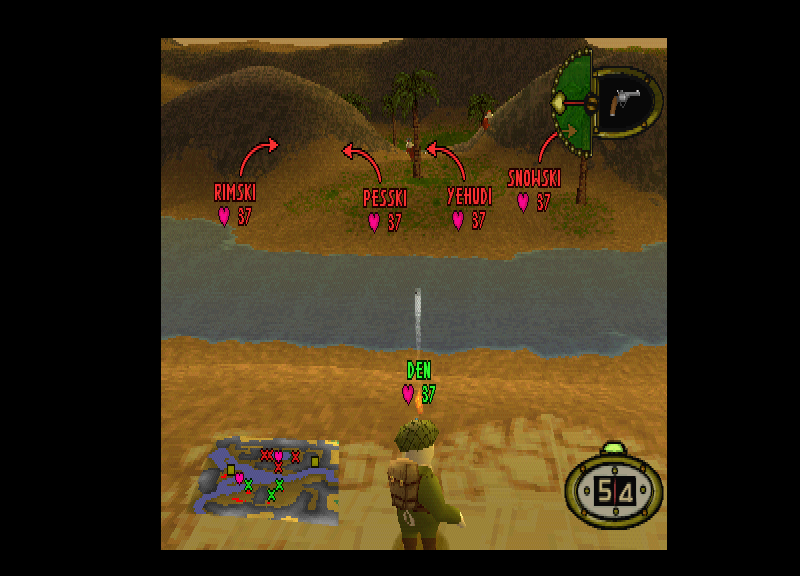 On my second turn I move to another corner of the map and throw gas to poison two Grunts. This walk wastes a little bit of time, much less than letting the AI's Grunts act instead. Poisoning both Grunts forces the AI to skip the next 2 turns. My third turn is a big mystery. Instead of dealing 37+ damage, I managed to get some weird OOB explosion while the unit is still alive, which doesn't happen that fast anywhere else. The final Grunt dies because of the gas. I used a different career path for one of my units compared to the old run. I use only 1 Scout instead of 2 this time. Despite the fact that using 2 Scouts here lets you skip the first 2 enemy turns, it generally gives you way more profit on later missions. However, I still managed to save time here. I have to fight against five units, and all of them are placed across the whole map, so I can't really get under 5 turns. My target is getting the fastest possible turns for myself and the AI. I fight against 2 Grunts and 3 Gunners. On the first turn, I poison the Grunt who is supposed to act first, so the AI's turn is cancelled. For rest of the level I need to OHKO every enemy unit. I also want to cancel the death animation, so I shot them into the minefield. I figured out that not hiding behind mountains lets you force the AI to use pistols instead of bazooka. It's much faster, but the AI almost never misses with rifles/pistols. However, the AI ignores objects that are not part of the stage layout, so I used a tree to take all their shots without wasting time. This mission is annoying. There is an unavoidable long AI turn for the Scout which I have to accept. It's possible to kill him before his turn, but it wastes 2 of my turns, which is always slower. However, I found another way to optimize the run. Instead of grinding for the fastest possible OHKO for each unit separately, I manipulated the AI to fall close to the AI's Medic twice after my shots. It let me kill him without doing anything, so I saved a turn. Time for mortars. Timesave over the old run came simply because of better tests, which let me get shorter animations and faster AI turns. I fight against a Bombardier, a hidden Scout, an Orderly and 2 Grunts, which sit inside pillboxes - the first type of artillery you meet in story mode. The Grunts act last, so you want to stay at the beginning point because the pillboxes can't hit you there, forcing them to jump out because each pillbox has 100 HP, so I don't have to deal with destroying it. This is the first mission where you can softlock if you attack too fast on the first turn. The strategy for this mission is the same as in the old run. On the 2nd turn I want to force both units to die in water. I originally thought that dying in water is faster than getting extra death animation, which is correct unless you use animation cancel, which I didn't know about in the old run. However, if you kill more than one unit, letting them die in water at the same time is faster than 2 short death animations. The rest is just getting the fastest possible OHKOs. The gimmick of this mission is that 2 Spies spawn if the fight takes too long (6 turns), but if you get good shots the mission is super easy. You can obtain the first airstrike here, the most destructive weapon in the game, and you can clearly see why. Very fun mission. There are only 3 units to fight, but one of them is a hidden Scout, and the other two are Gunners which sit in artillery (which have 50% less HP than normal for this mission). The AI manipulation is very strange in this game. After a lot of tests I got very confusing AI actions, which you can see after my 2nd turn. The last shot can be done in different ways, which you can check in the Bloopers part of the video. I took the fastest one for the run. I promote a Sniper to Commando, so I finally have access to a bunch of powerful weapons for any situation and I don't have to deal with straight rifle shots to hit enemies. Your unit placements on this map are based on your ranks - the most promoted one is in the middle of the map, hidden in the shelter. There are 4 hidden Snipers around the middle of the map and one Bombardier who is far from everyone. You can notice a delayed attack on my first turn. This is the 2nd place you can get a softlock for attacking too fast (you can see how it looks in Bloopers). 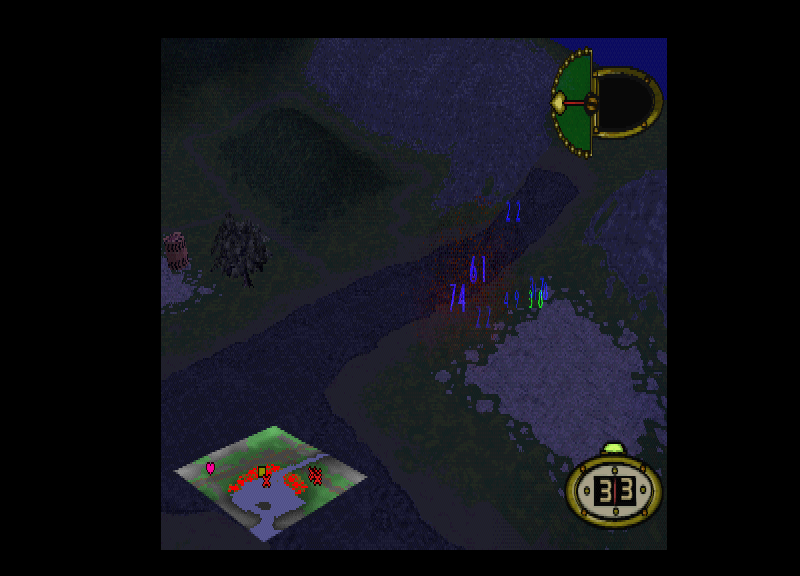 For the next turns I want to kill the enemy units as soon as they're revealed from camouflage, ideally by letting them die on minefields. The order for the last 2 kills was changed because it's faster to kill closer units. There are 2 hidden Spies which REALLY like to run circles before attacking, so I put my Commando in the first slot to jump into an enemy tank and make them focus on him. The jetpack makes the first turn faster. I take the AI's tank and kill one of the hidden Spies with an airburst. Moving forward a bit is required to manipulate another Spy and make him jump into the closest tank. The first AI turn is silly. I prevented the Spy from walking around, so he took another tank, but then he calculated that attacking my Commando will deal more damage to his own team, so he skips his turn. The biggest timesave here came from better combined damage on my 2nd and 3rd turns, so I didn't need a 4th turn. This is the first of the "3 most complicated missions" in the run. It took so long to test every strategy, but I got the biggest single timesave over the old run (1 min 19 sec). There are 5 Gunners on a very open map, each of them inside a pillbox. 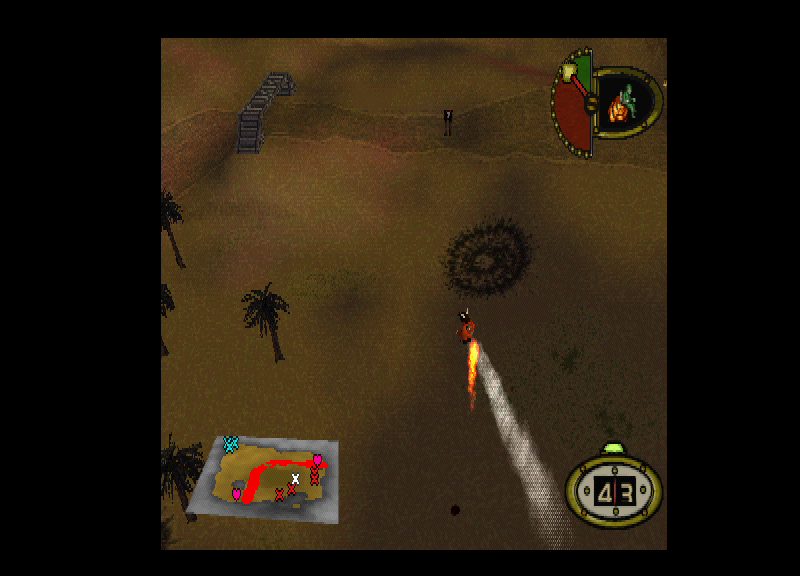 On my first turn I used a jetpack to grab the unique "Anti-P Mine", then used a trick to blow up the left pillbox. 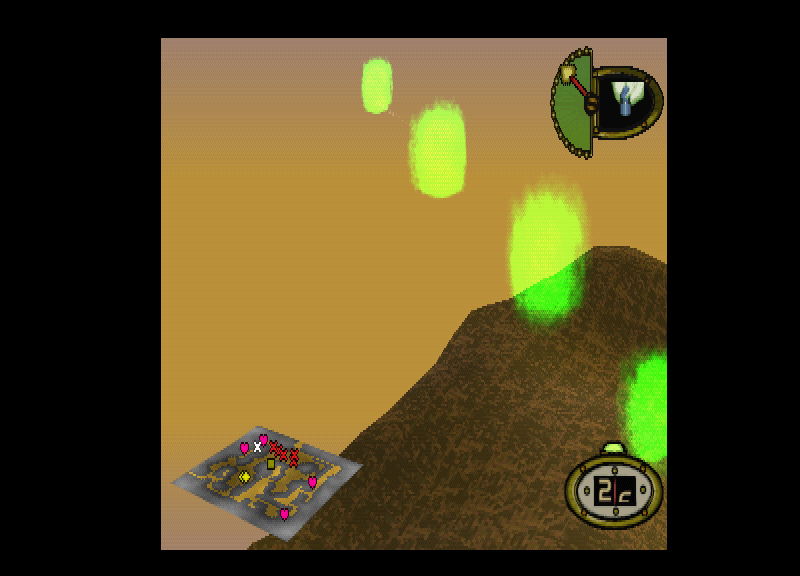 Usually, a single mine won't detonate, but placing one from the slope makes it hover in the air, which makes it blow up after my turn. After this, I used a cluster grenade to destroy another pillbox. Both cluster grenade and Anti-P mine explosions are RNG, so I wanted to grind combined inputs for both actions until I'll be able to force both units to die in the water, wasting 17+ HP while they try to get back to land. On my next turns I figured out that dealing ~75+ damage to pillbox forces the AI to leave it. Since I'm still underpromoted, my 3rd unit has only bazooka and mortars, but not airburst. I forced the AI to leave the pillbox on 2nd turn because of that. On the 3rd turn I force the AI to die in water because the ground here is very slippery and always leads to slower deaths. I also want the AI to not hit my units on his next turn. On the 4th turn I don't want the AI to leave his pillbox since I have access to airburst on the next turn, so I can kill the Gunner in 2 turns. The next shot was very tricky - I had to get weird shell patterns to deal enough damage for kill, making sure that the AI doesn't kill any of my units on the next turn at the same time. Last turn: There is only one 100 HP pillbox left, so the only option for this turn was using Anti-P mine again. There are no slopes by other pillboxes, so I just set two mines under the last one, making sure it will not just destroy it, but also kill the unit inside. You can manipulate it by walking to different spots after you place the second mine. The current strat is 2 turns faster than old one. Super simple mission. Two airbursts is enough to win. As simple as the previous one. I ran to the airstrike box as the Commando and used it to kill the first 3 units, then used a mortar to kill the last Spy. I promote my Commando to Hero which finally gives me access to airstrike. Combined airstrike and mortar shots kill everyone before the AI's support will appear on the map. The second of the "3 most complicated missions" in the run. This one took several months. I completely changed my strategy on this level. First of all, I kill the Spy who acts first. On the 2nd turn I kill the Spy who fails to hide. 3rd turn - I already have another Commando because of PP dupe glitch. Grinding a cluster grenade kill let me force the AI to throw a pixel-perfect gas grenade, which disappeared instantly after hitting my Hero. The rest is just OHKOs. The PP dupe glitch lets me get my 2nd Hero, which saves a bunch of time here. This is another mission where you can softlock on the first turn so I delay my first aistrike, which kills 2 units. 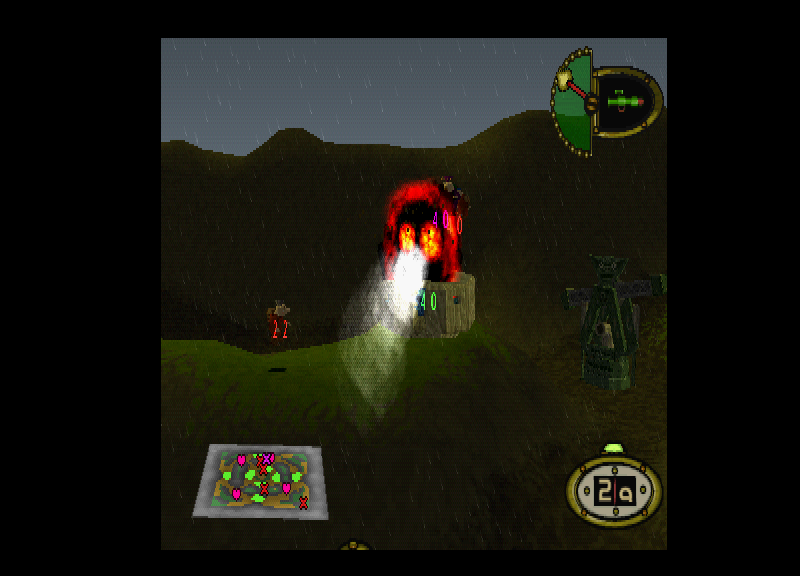 The AI's Commando is placed in a very uncomfortable position: most of my shots made him fall somewhere on the low ground, which makes a OHKO impossible for Pyrotechnics. I failed to find a OHKO shot in my old run, but I figured out that making the first airburst's shell explode above the Commando solves this problem. The last turn is just a more optimized airstrike. I don't need any more promotions in this run, so I cancel all PP animations from now on. This is a very sad mission. It's simple to beat in two turns, but it's impossible to avoid slow turns. You can kill either the 3 left or 3 right Medics on the first turn, but since the AI has poor inventory he always looks for extra weapon crates on his first turn. You can force him to attack your unit instantly, which requires you to stand insanely close. Doing that saved a second over the last run. There are five hidden Commandos, so I need to get an insane amount of damage to kill them in two turns. I thought it was impossible to do this in the previous run. The last of the "3 most complicated missions" in the run. 1: A Scout is hiding with 20 extra HP. 2: A Hero is sitting inside a shelter with 100 extra HP. 3/4: Gunners are sitting inside artillery with 200 extra HP each. Destroying each artillery requires a lot of time even with the best possible shots, so I found another way to win. First of all, I put my Hero inside the pillbox which the Scout is supposed to take on the AI's first turn and used an airstrike to kill the Scout and deal some damage to the enemy's shelter. I also forced the AI to leave his artillery on his first turn. On my second turn I move my Hero to the left corner and kill the first Gunner with a bazooka. The purpose of this movement is to hide my Hero from the artillery and manipulate the AI to deal maximum damage to my Pyrotechnic and some damage to the shelter on the next turn. I sacrifice my unit instead of moving him to safety because it's faster. The shelter is weak on the 3rd turn, so I can OHKO the AI's Hero inside with an airburst now. On the AI's next turn he can't deal any damage to my units from the artillery, so he has to jump out and grab some loot. The closest one is a jetpack. He doesn't have time for other boxes, so he has to attack at the end of his turn. It makes him a very vulnerable target, which was his final mistake. You have to fight against a squad of four hidden Heroes. I figured out that the AI always attacks my first Hero with airstrike, with the same angle. It let me move my Hero far away enough that the AI doesn't deal much damage and removes a lot of death animations. Double airstrike makes this mission very quick. You have a squad of seven Pyrotechnics against you, each of them has 60 HP. One airstrike is enough to beat them. Mission 25: WELL, WELL, WELL! You want to finish this mission in less than 3 turns to prevent massive reinforcements from arriving. Since the only AI unit sits inside a pillbox with 200 HP, I don't have sny tools which deal enough damage in one turn. However, if you land on top of this pillbox, it forces the AI to jump out. It makes the 2nd turn very simple.